The most talented chefs, farmers, craftsmen gathered at one place to celebrate the colorful feast, Trend Life reported. Aroma tea, delicious local sweets, 50 types of pilaf such as Hashimi, Sadri, Apollo, Kampo ... juicy kebab and famous Lankaran lavangi left no one indifferent. If you visit Azerbaijan, the Land of Fire, you should definitely taste its tea. Tea has always played a major role in Azerbaijan's culture. 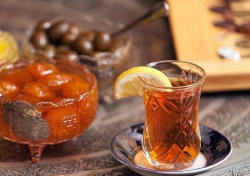 Local people are very hospitable people and while visiting any home in Azerbaijan, you are welcomed by black tea. 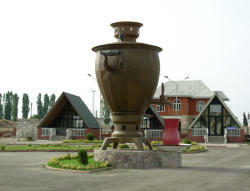 Lankaran is well-known throughout Azerbaijan for producing the best tea in the country. The subtropical climate of the region is ideal for its growing. The first tea plantations appeared here in 1896. In 1937, the first packs of Azerbaijani tea were released. In Soviet times, Azerbaijani tea was very popular. 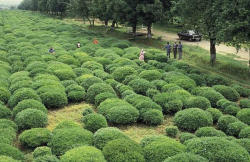 Over the past fifteen years, the development of the tea industry has intensified and nowadays country's tea products are exported to Iraq, Georgia, Ukraine, Russia and other countries. The festival guests tried this aroma drink, which, by the way, is drunk in this area with various additives: chamomile, mint, lemon balm, thyme, mountain herbs. Themed stands and pavilions were also installed as part of the event. Citrus fruits, tea and brown rice, various types of tea , local sweets were showcased at the pavilions in the park. The festival aroused great interest among the public, including foreign tourists.